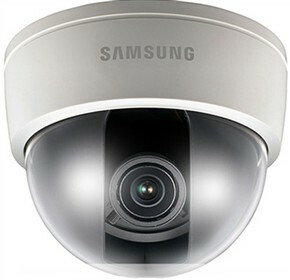 The Samsung SND-7061 a High-Resolution 3 megapixel full HD Dome Camera with image sensor, provides unparalleled durability making it suitable for both indoor and outdoor applications. Its 2.8x varifocal lens delivers high resolution video in challenging lighting conditions. A minimum illumination of 0.4Lux (Color), 0.007Lux (Sens-up) makes the camera suitable for nighttime surveillance. The Samsung-SND-7061 has many exciting features for users of all types. See the Samsung-SND-7061 gallery images above for more product views. The Samsung-SND-7061 is sold as a Brand New Unopened Item.